Beautifully crafted from Resipreme plastic, our Linus Deep Drawer Organizer offers a generous capacity for storing everything from kitchen utensils and gadgets to toiletries or craft supplies. 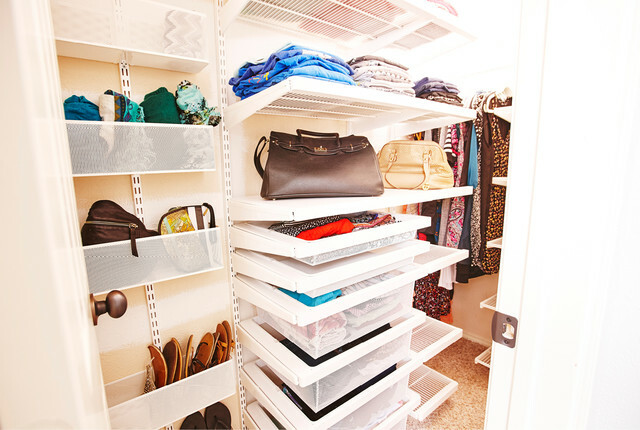 Each organizer is exceptionally deep to store larger items with ease. Add our Expanding Acrylic Drawer Organizer to an office or bathroom drawer to create an additional level of storage space. It fits neatly over the top of most drawers without interfering with the drawer's function. Once installed, it slides to allow access to the contents below. InterDesign Linus Deep Drawer Organizers is rated 4.8 out of 5 by 140. Rated 5 out of 5 by ProsperMomof4 from Love these I use these containers everywhere in the house.. kithcen drawers, medicine cabinet, cleaning closet, makeup storage, ect. They make a different sizes for just about everything. Rated 5 out of 5 by JoStanley from My Go To I seriously love these! I love the variety in size and the quality of these products. I love the fact they don't slip around when you open and shut the drawer! We have them in every room in our house. We use them in our end tables, medicine cabinets, kitchen drawers, pantry, fridge, everywhere! Rated 5 out of 5 by analyticshopper from Great drawer organizer I purchased a deep organizer and wasn't sure it would hold much, but it does. Bought a few more. Looks so much better than old cardboard boxes! Rated 5 out of 5 by OriginalJayhawk from On the road to organization. I was so pleased with my first purchase of these organizers that I have gone back to the store several times to purchase more. The depth and clarity of the plastic enables me to store tall items and see those items. Rated 5 out of 5 by galagher from Perfect for my drawer Sturdy good quality bins. Love the taller sides. Keeps stuff in my utensil drawer confined. Four fit my drawer perfectly. Rated 4 out of 5 by courtsmith from Good The product itself is good, however, the amount of glue and adhesive left behind from the labels and stickers is maddening. Use easy peel adhesive or none at all. Expect to spend a lot of time removing the sticky mess they leave behind. Rated 5 out of 5 by Eviebeans from Big improvement These have made my coffee drawer so neat and tidy. I picked up some of their clear museum gel to stick on the bottom so they never shift around. The stickers all over them were very annoying (three on each bin, really? ), but I was able to tediously remove all the stuck on adhesive. I'll be buying more for future drawer overhauls. Rated 5 out of 5 by Ponygirl from No More Junk Drawers Everyone has at least one, usually in their kitchen. That drawer where odds and ends get shoved, crammed, and hidden because they just don't belong anywhere else. Soon, the drawer can't hold anything else and you can't find what you need. Well, with the help of staff, one measurement & the Linus Deep Drawer Organizers, I was able to turn my junk drawer into the best drawer in my kitchen. Rated 5 out of 5 by Downsizedame from organized drawers! My kitchen drawers were a mess! Cluttered and difficult to find things. These organizers, with so many different sizes available, helped me to put each piece into an appropriately sized space so it is easy to locate what you need. Going to purchase more now to finish the job in the drawers and pantry. Rated 5 out of 5 by Like2Shop from Linus Deep Drawer Organizers I have been looking for drawer organizers that were long and deep. These are exactly what I needed! I was able to put 4 in my drawer with a smaller one across the back. My drawer was a big mess with everything spilling into the next section of the organizer I had. The Linus Deep Drawer Organizers not only look great but everything fits and there is room to spare! So happy I found these at The Container Store and recommend them to anyone who is looking for a quality item. After I saw them in the store I went home and measured my drawer then ordered on line. Arrived on time! Rated 5 out of 5 by MollyCK from Versatile, easy to clean We just moved and I used these at our prior home as well. I like the depth and the sizes they manufacture seem work with any drawer. Rated 4 out of 5 by sfield22 from good drawer organizers These are the best clear organizers I found after an exhaustive search on the internet. The price is good and they are good looking. Price is about average. Wish I had a container store near me! Rated 5 out of 5 by Texan77 from Handy clear storage mini-bins Love these for keeping my drawers and makeup organized. They are clear and look clean and come in practical sizes. Rated 2 out of 5 by OrganizedLivingCrosswell from Not worth it This is a great product, but whatever they have going on right now with the stickers is just not worth it. The adhesive being used in the stickers is so strong and sticky that you'll never get it off. To get the 3 stickers off takes us about 5-7 minutes for each one. If you are using several, you will be at it for awhile. We use Goo Gone and have to really work at it. Even after all of that, there seems to be some residue left that we can't get rid of. Rated 5 out of 5 by EmilyTheChef from Wow, much nicer than I expected Big, deep, sturdy - what's not to love? I bought these for our nonprofit kitten rescue, to organize medical/health supplies in a drawer in my bathroom. They are custom cabinets, so they can handle the deeper containers. Rated 3 out of 5 by MountainHomemaker from Sticky Mess I ordered these containers for my spices. Unfortunately, the label on the inside bottom is affixed with the stickiest goo and is nearly impossible to remove. I do like the containers, but would not buy again because of the trouble it has taken me to remove the goo. No fault of The Container Store, but the manufacturer should use a different labeling system. Rated 5 out of 5 by ninnin from I needed these Well made. Perfect fit. I need more and will buy again. Rated 1 out of 5 by Jane123 from Don't buy/ labels are horrid to peel off I would really like these if I didn't spend all afternoon trying to peel gummy glue off the inside bottom of all 6 that I ordered. The idea of organizing, to me, is to save time. I can't stand these because of the ridiculous labels--wasted so much time. Buy the other ones without feet. What the heck! That is so unnecessary of the manufacturer to slap sticky all over these. Yes, tried soaking, alcohol. I shouldn't have to do extra work after paying for these. I'd give it a minus 10 if I could. Rated 5 out of 5 by julias from Great storage These organizers are a great buy. They look modern and clean and the feet make sure they don't slide around. Rated 5 out of 5 by Mainefrye from Worked wonders on my drawers I've just finished organizing two kitchen drawers, and I am very pleased. Instead of a jumble, each kind of item has a special place. Measurements were just what the descriptions said they were, and so everything fits nicely in my two drawers. I wish the labels were easier to remove, but that's a minor objection. Rated 5 out of 5 by Suekie from Fabulous product I love these deep organizers! I use them in a wall cupboard with narrow shelves, and now my bath products are neatly organized and don't fall off the shelves when I open the cupboard door. Very nice quality! And the sticker issue must have been addressed, because I had no trouble removing the stickers. Rated 5 out of 5 by midwestgrandma from Great Purchase Sturdy. Deep. Using them to organize kitchen drawers. The only negative and I find this with many purchases from The Container Store is how much of a problem it is to remove the stickers from their plastic containers. Rated 5 out of 5 by calla49 from Great depth. Arrived quickly, well packaged, & exactly as described and pictured. Very sturdy and the extra depth makes them even more useful. Used them to organize kitchen drawers. Great purchase. Rated 4 out of 5 by Feelsilky from Organization Helps a great deal to keep Pens, Pencils, and Markers in Order in any drawer. You need to pick the right one for the depth and height of the drawer to be used in. I love them and have all 3 type. Rated 2 out of 5 by LynnKy from Sticker glue nightmare My one and only, but huge, complaint about these drawer organizers is the stickers covering each piece. There were 4 stickers on each one. I spent over an hour using Goo-Gone, soaking in warm water and trying to remove the stickers and glue residue from each piece. It was the rare exception when a sticker easily peeled off. Most took a lot of effort to remove. Container Store, why all the glue-y, gummy stickers?! So unnecessary especially when there was a plastic bag around each one; just put the stickers on the bag. A big pain but when I finally, finally removed the stickers, these organizers were perfect for all my cosmetics. Really I wish I could rate the product a 5 and big fat 0 for the sticker headache! Rated 5 out of 5 by Grandma30281 from Excellent Product Before ordering the organizers, I looked at all the items I planned to organize. Then, I drew a layout that took those items into consideration. Therefore, the organizers fit my space and storage needs perfectly. Glad I went with the deep organizers. I used them for a vanity drawer in a small, family-owned business. There are several of us who use this vanity, so it was continually being searched and scrambled. Now, all users can immediately access its contents! Rated 5 out of 5 by flubug from organized medicine cabinet we bought 2 of these drawer organizers for our bathroom medicine cabinet. They have solved the problem of items falling out and landing in the sink or on us when we opened the door. They fit perfectly ! Wish we had thought of this long before. I love that they are see-through so we can see where the items are easily. Rated 5 out of 5 by cidykid from I use these everywhere These are great because they don't slide around in the drawers. I use them for my silverware drawers, bathroom drawers and junk drawers. So many sizes are available, you can organize each drawer perfectly. Rated 5 out of 5 by JustALittleOCD from Perfect for my make-up! These were absolutely perfect for my make-up! Instead of fumbling thru my drawers when looking for a particulate color, I can go directly to each respective organizer that I have for my products. I like organizers that don't shift around, producing gaps between the sections. Do these attach to each other? How do I remove the glue off the stickers on these organizers? Do these individual units slide at all in the drawer once placed or do the &quot;feet&quot; keep them in place? Are drawer liners necessary? Are Linus Deep Drawer Organizers Dishwasher Safe? They are but I don't like putting my plastic organizers in the dishwasher because I think it makes them look worn over time. Do the Linus Deep Drawer Organizers have straight sides or a lip around the top? I want to hang these on a wall with hook and loop strips but won't work if they have a lip. Will these drawer organizers hold water? I am looking for something I can use to line a narrow wood planter box. I know, this is a crazy question but I can't find a liner narrow enough from floral suppliers. No, our Linus Deep Drawer Organizers are not watertight. However, our Stackable Acrylic Drawer Organizers (shown below) do hold water and may work for your application. Can these organizers be used in the refrigerator? I have a couple of these that I am moving from the pantry and was wondering if they would be okay in the cold air of the refrigerator? These products can be placed in the refrigerator or in the freezer. The Linus&trade; Deep Drawer Organizers nest but neither stack nor slide.